I love having vases of fresh, colorful flowers scattered around my house this time of year. 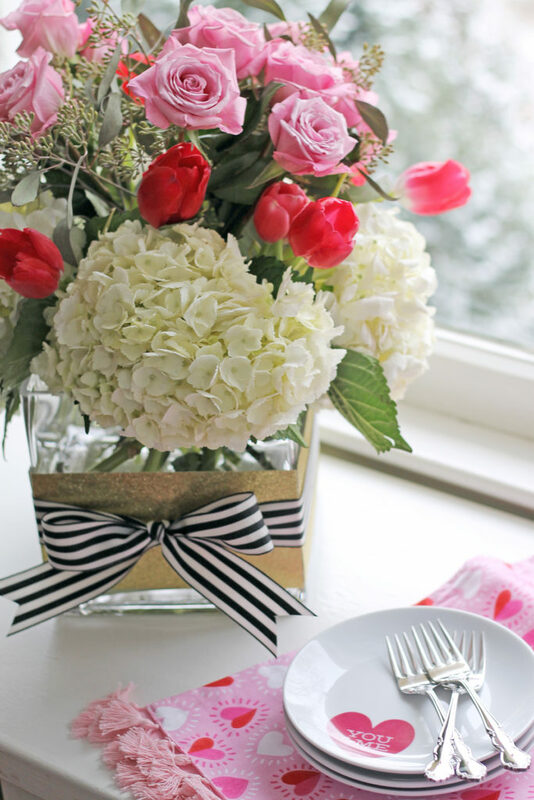 While we can’t just head outside to cut a bouquet of flowers on a cold and snowy January day, it is fun to put together a flower arrangement using flowers from the market and florist. Those pretty blooms give me hope for warmer days ahead! While I have no degree or training in floral design, I have been inspired lately by someone I recently met through Instagram. Her name is Katie, and she writes a blog called It’s in the Details. 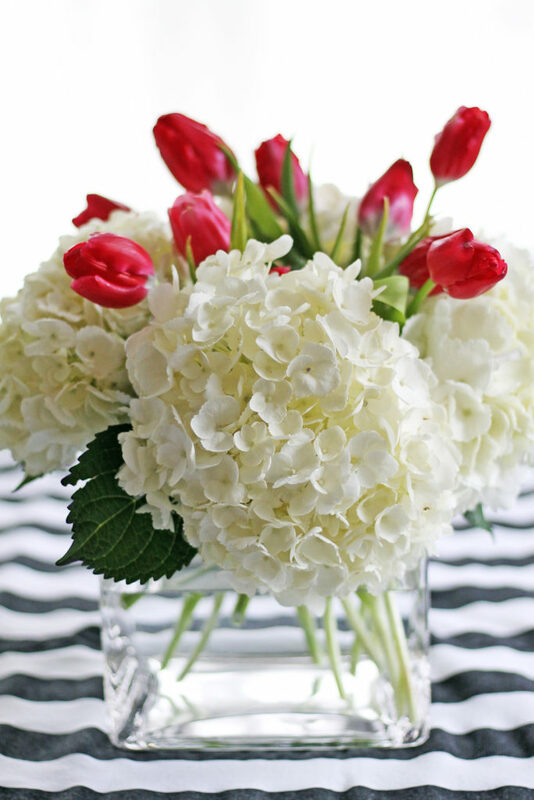 She often shares ideas for flower arrangements, and they are so lovely and beautiful! 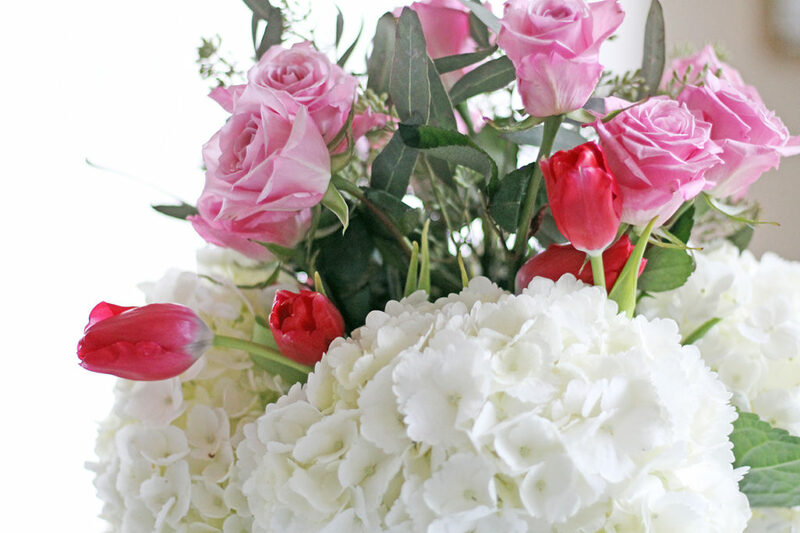 I love how she makes videos as she is creating a floral arrangement…definitely helps the viewer “see” how to do it themselves. 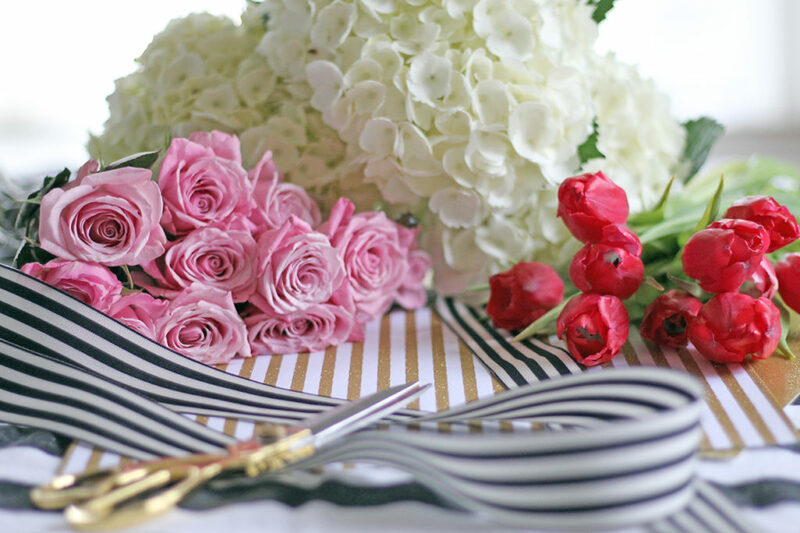 Katie is definitely one to follow for floral and food inspiration! 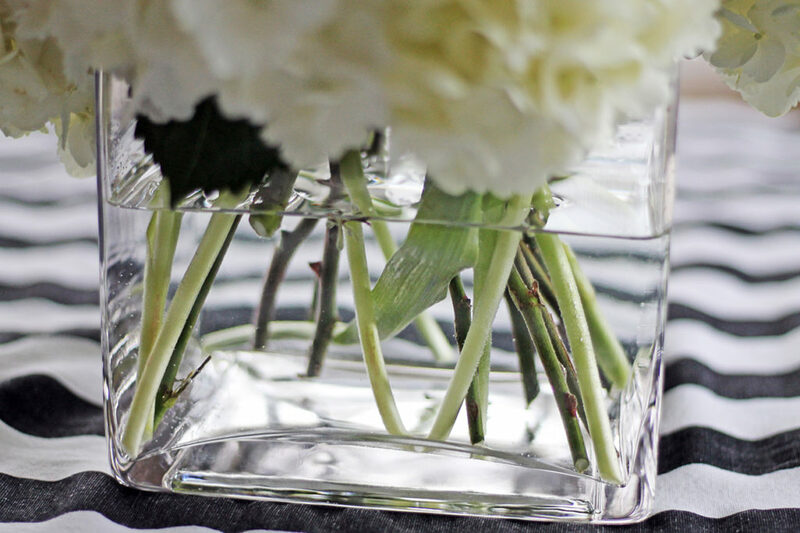 When she suggested that we collaborate on a post about a valentine flower arrangement, I was thrilled to join her in showing two different ways to put together a centerpiece for your February table! This collaboration has been a lot of fun as we decided to use the same flowers. I used a large square-shaped clear vase as my vessel. 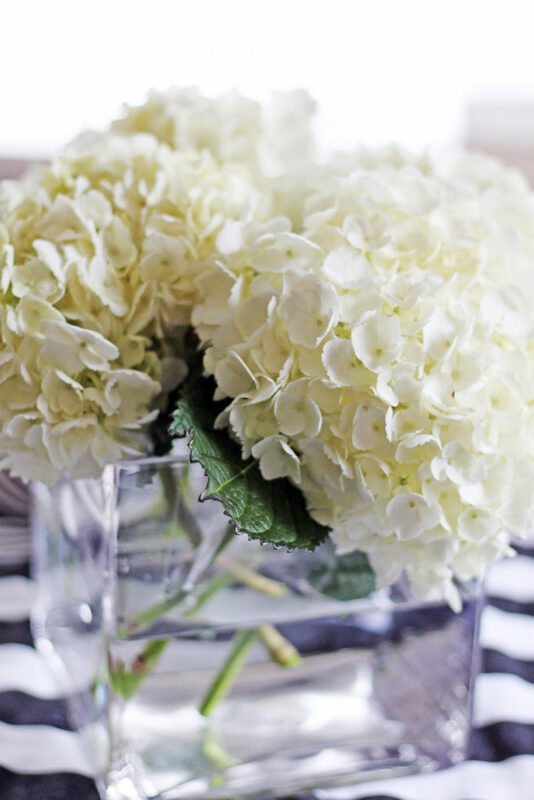 I started by placing four hydrangeas in each section of the vase, so that each one was along the four sides. My goal was to have a “layered” look with the three different types of flowers. So the next layer was the tulips. I cut their stems so that they were slightly longer than the hydrangeas and placed them just on the inside of the hydrangeas. The last layer was the pink roses. 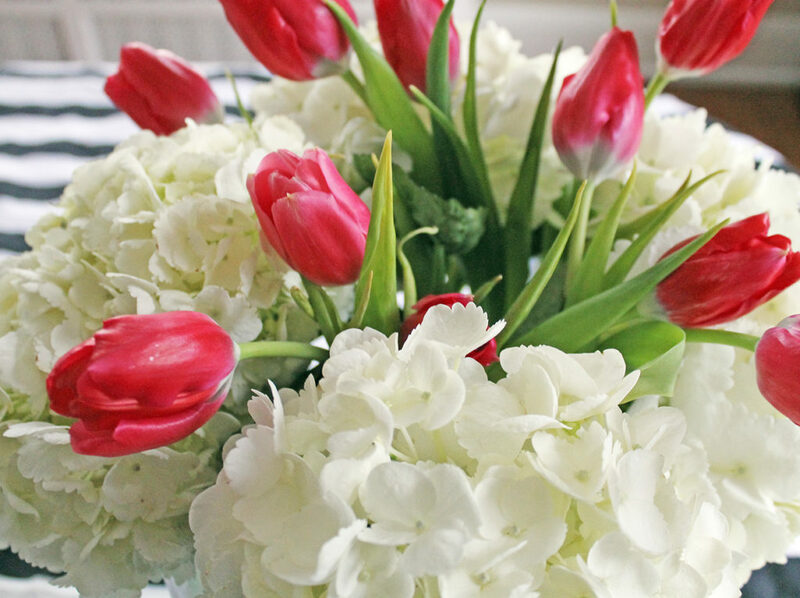 I cut them even longer than the tulips and placed them in the center of the vase to create the top layer. I also added a bit of greenery to fill in the gaps. Now I could decorate my table with the vase of flowers as it is, but I added an extra touch to it. You know how after a few days, the water in the vase isn’t as clear…it gets a bit murky. So I thought by covering this part of the vase with gold cardstock and tying a ribbon, it would conceal the stems and the water. 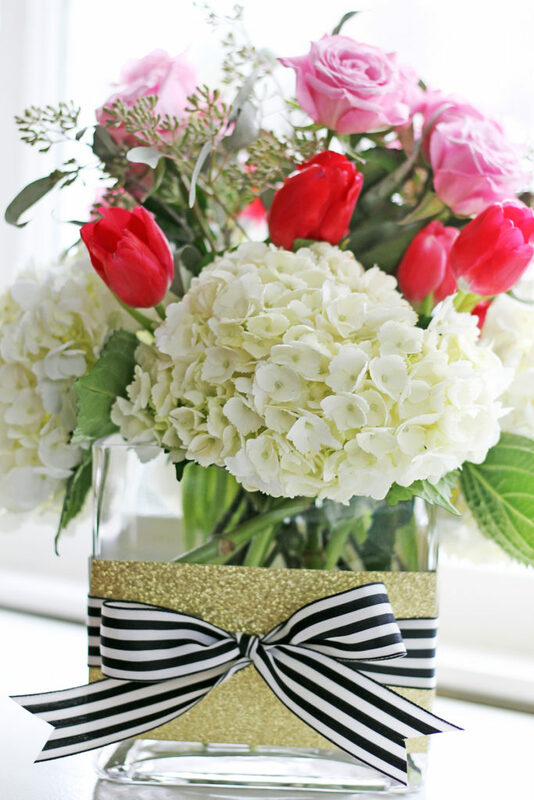 I cut four pieces of gold cardstock and attached them with glue dots to the vase. 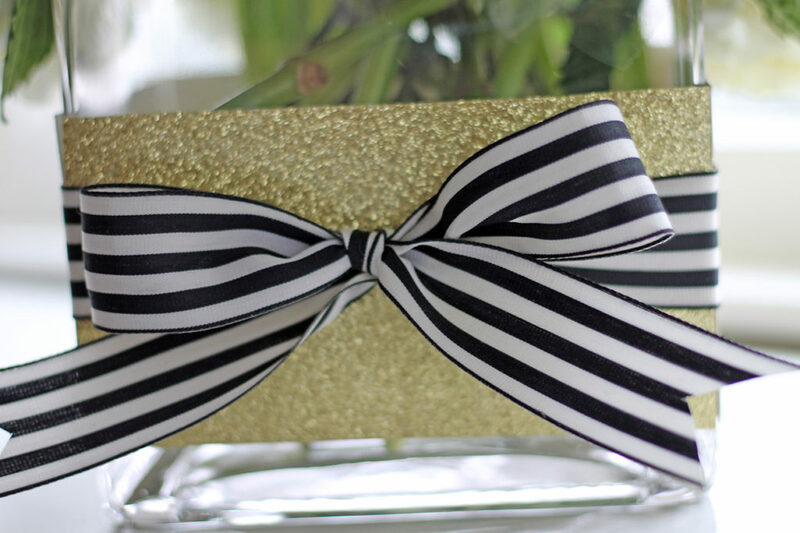 Then I tied black and white striped ribbon around the cardstock. I think it is a bit Kate Spade-ish looking. Maybe? 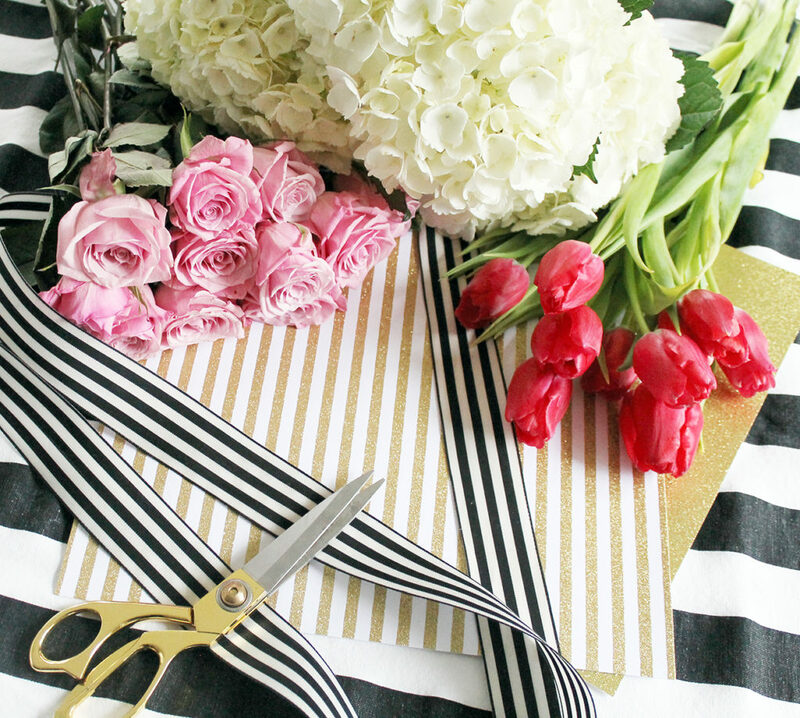 Now that you’ve seen my floral bouquet, I can’t wait for you to see what Katie has created. I just love how she incorporated those red hearts into it! She is super creative! Go check out her blog and her Instagram, and be sure to keep following her for more inspiration! 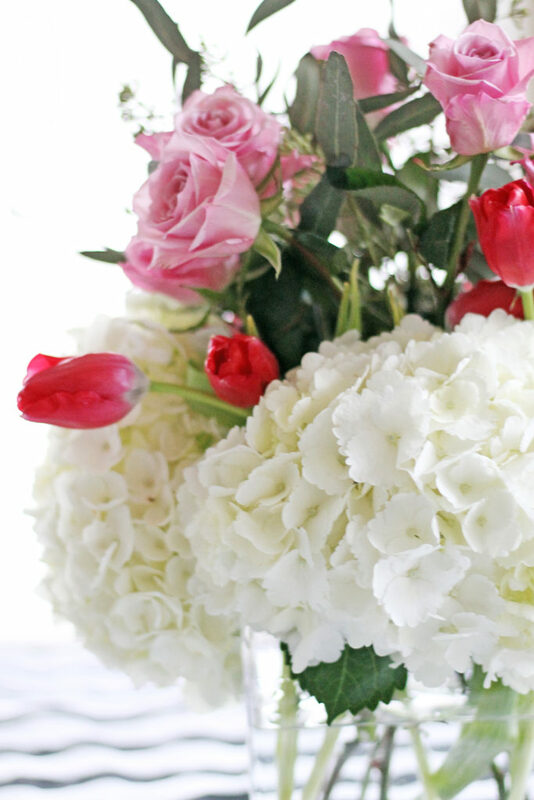 Thanks again for reading…I hope you were inspired to create your own valentine bouquet!